You’ll get noticed when you wear this necklace! Everyone will wonder where you got it, and you can proudly tell them that you made it! It makes a great gift too! 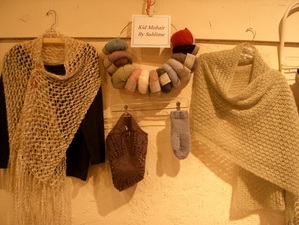 There are lots of yarns to choose from, every one would give you a different look. 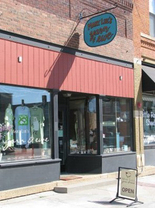 Students need to know the basics of knitting before taking this class, cast on, cast off and knit stitch. What a great Easter hat for your little one! 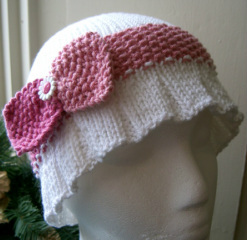 This flapper-style hat has a pleated edge and a band of seed stitch adorned by a cute pink bow. 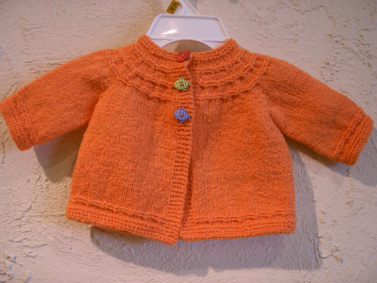 You will learn to knit in the round on circular and double-pointed needles. Perfect for spring. Something pretty, light and lacy. 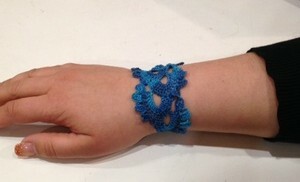 This is a great project for learning how to knit lace in the round. 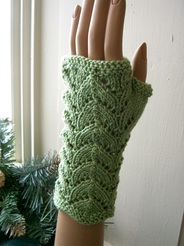 We will be using the 9” circular needle and double points to make these fingerless gloves. 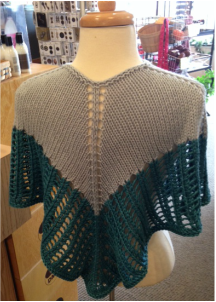 What a great shawl to meet all of your spring event needs. Weddings, Easter, Date Night... the possibilities are endless! Just a little warmth wrapped around your shoulders. Stockinette stitch, a simple lace pattern and bulky yarn, (we used a Bamboo/Wool blend called Fleuris that comes in some great spring colors and has beautiful drape) make this a quick knit and beginner friendly. 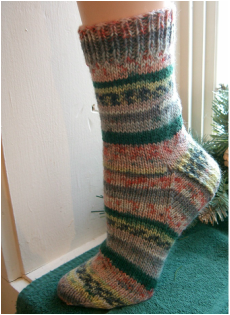 Want to knit socks but you don’t like double pointed needles? Here is your answer! A nine inch circular needle. This is a great first sock project. You will need 1 ball of DK weight sock yarn, size 4 to 6 (we will work on gauge the first class and determine which size is best for you) 9 in. circular needle, one set double pointed needles in matching size to your circular and stitch markers. 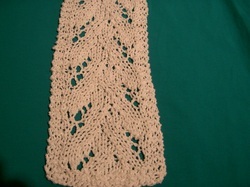 Here's a great project to try your hand at knitting lace. 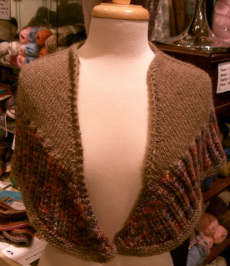 You will learn special increases and decreases that, when knit in sequence, form a beautiful lacy design. You'll be surprised to see yourself creating such a masterpiece! 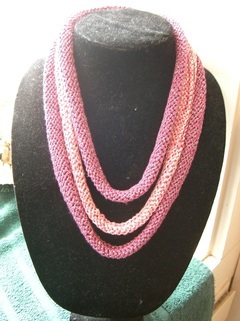 Knit it with a cotton yarn for a pretty summer accessory. 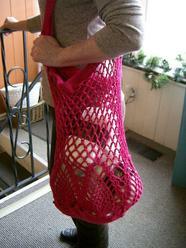 Carry your groceries in style with this beautiful market bag. The bag starts with the hexagonal bottom, then the sides are made up of pineapple motifs that give way to an open mesh work near the top. Want a great spring accessory? This bracelet is a quick project using a unique motif and will easily add elegance to any outfit. Great for Prom too! Jump on board and ride the latest knitting trend – “Arm Knitting” Let your arm be the needle as you make this quick & breezy eternity scarf. and no knitting needles required. Break out your creativity! This fun new product is already knit for you and through some easy rolling and wrapping you can have a bracelet in no time. 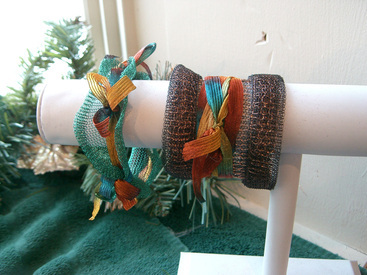 We will embellish the bracelet with ribbon yarn to create a one of a kind masterpiece! small amounts of ribbon yarn.